Advantage Technical Marketing Services Inc.
To be your Source for process control and sensor components and Resource for information, service and technology. Advantage TMS is a technical sales and marketing firm created to leverage a vast database of knowledge and professional contacts in a unique and synergistic way. Based on a matrix association of sensor suppliers, engineering and contract manufacturers, and sales and marketing professionals, Advantage TMS is optimized to provide innovative one stop, cost effective solutions to challenging sensor applications and product development needs. As a partnership manager, Advantage TMS solicits opportunities, accesses the needs and directs them to the appropriate resource. Advantage TMS also manages the customer liaison functions for the Associates. 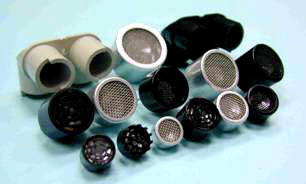 Advantage TMS is a Manufacturers Representative and Distributor for a broad base of sensor component technologies, including, ultrasonic piezo transducers and support electronics. Additionally, we are in a position to promote and represent sensor based finished products. Advantage TMS and associates specializes in developing sensor solutions for OEM applications, actualization of concepts, building prototypes, and contract manufacturing of products for low to high volume applications. Advantage TMS is able to offer a range of support services including, product or project critiques, application assistance or complete program development proposals. Advantage TMS marketing services for the sensor industry and related products include, market research, competitive analysis, business development and marketing communications planning. Advantage TMS is positioned to be your source and resource of sensor information and technology. Have questions or would like to discuss a proposal? Please feel free to contact us.